With Splendor of India with Bhutan, Nepal & Tibet tour package, experience the brilliance that prevails from hundreds of years. The rich culture, tradition, architecture and natural bliss make important elements of this trip. This itinerary of 18 Nights and 19 Days makes you explore the regions of Delhi, Leh, Darjeeling, Pelling, Gangtok, Phuntsoling, Thimphu, Paro, Kathmandu, and Lhasa. Along with indulging in the natural aura of these places, you may visit all possible major attractions of these places that paint magnificent picture of the past. Arrive at Delhi Airport/Railway Station. Small welcome by the representative and get transferred to the hotel. Check in, freshen up and take a little rest. Spend the remaining day at leisure. You may explore the nearby local market, interact with local people, taste the street food, etc. Return to your hotel for an overnight stay. Early in the morning, get assisted and transferred to the Delhi Airport to board the flight to Leh. At the Leh airport, get assisted and transferred to the hotel, by the representative. You may use the remaining day enjoying gradual walks to the town, explore the colorful markets, taste the scrumptious street food, and interact with local people. Later, return to the hotel for an overnight stay. This day is dedicated for sightseeing at Leh. Visit some of the very old Buddhist monasteries. At Shey monastery you will find statue of Lord Buddha that is almost 7.5m in length. This statue is made of copper and is plated with gold. Later proceed to Thikse (Thiksey)monastery which nestles on a hill top. Here, there are several temples and wall paintings, all dedicated to Lord Buddha. Also visit Hemis monastery which is almost 360 years old. Display of Tankha (one of the largest in the world) in every 12 years is great attraction for the tourists. Thereafter, return to your hotel for an overnight stay. 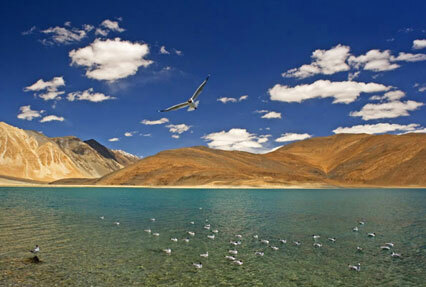 In the morning, get ready for full day excursion to Pangong Lake (Pangong Tso). This lake is located at the Indo-China border. This narrow, long, enchanted lake provides a panoramic view. Here, you find the best of natural bliss. In the evening you may explore the colorful markets of Leh and buy traditional handicrafts as souvenirs. Return to your hotel for an overnight stay. Early morning, post breakfast, get ready to visit a Buddhist white-domed Stupa, Shanti Stupa. This Stupa was built in 1991 by Gyomyo Nakamura (Japanese Buddhist Bhikshu). Later, proceed to Sankar Gompa (Sankar Monastery), which is a daughter-establishment of Spituk Monastery. Explore in and around the area. Take pleasure in the serenity and freshness of the place. Thereafter, return to your hotel for an overnight stay. In the morning, get assisted and transferred to Leh Airport to board the flight to Delhi. On your arrival at the airport, get assisted and transferred to the hotel. Check in, freshen up and take a little rest. In the afternoon, post lunch, enjoy excursion to Old & New Delhi. Visit some of the popular attractions like Jama Masjid (Old Mosque), Raj Ghat, Parliament House, Humayun Tomb, Presidential Palace (Rashtrapati Bhavan), India Gate and Qutab Minar. You may also visit Red Fort from outside. Thereafter, return to your hotel for an overnight stay. Post breakfast, get transferred to Delhi Airport to board the flight to Bagdogra. After reaching Bagdogra, proceed with your onward journey to Darjeeling by road. On arrival, get transferred to the hotel, check in, and take a little rest. Later in the evening, take gradual walks to the nearby areas, communicate with local people and taste the popular street food. Return to your hotel for an overnight stay. 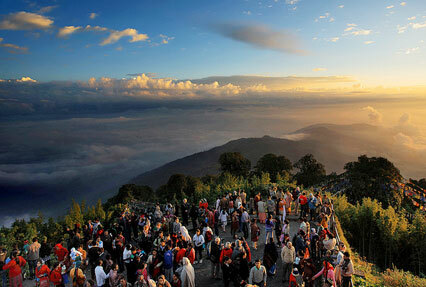 Early in the morning, get ready to view the panoramic view of dawn from the Tiger Hill. You may also take pleasure in viewing the stunning Kanchenjunga massif. Post breakfast; take Toy Train ride upto Ghoom (Ghum) Monastery. Herein, there is 15-feet high statue of "Maitreya Buddha" (Coming Buddha). 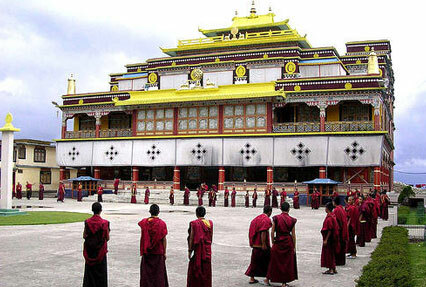 This monastery was built by Lama Sherab Gyatso in the year 1875. In the afternoon, also visit Tibetan Refugee Self Help Centre and HMI (Himalayan Mountaineering Institute). Later, return to your hotel for an overnight stay. After breakfast at the hotel, drive to Pelling. On arrival, get transferred to your hotel, check in, and take a little rest. In the afternoon, Visit Pemayangtse Monastery, this was built in the year 1705 by Lama Lhatsun Chempo. Take pleasure in exploring the monastery and viewing the picturesque backdrop of snow capped mountains on two sides. Later return to your hotel, take leisure walks to the nearby lanes. Halt at the hotel for an overnight stay. After breakfast, proceed to Gangtok. On the way visit Rumtek Monastery. Later proceed to Namgyal Institute of Tibetology to get a sneak peek of the Tibetan culture, tradition, festivals, history, religion, etc. 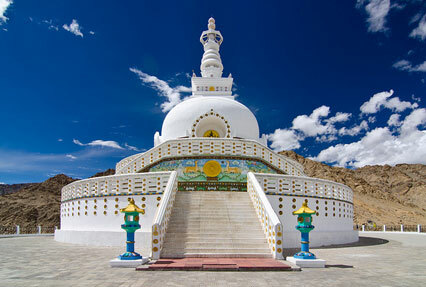 Also visit Do-Drul Chorten, a Stupa built in 1945 by Trulshik Rinpoche. Reach Gangtok, check-in at your hotel, and take a little rest. Halt at the hotel for an overnight stay. Drive to Phuntsholing (Phuentsholing), after breakfast at the hotel. Check in at your hotel. After taking a little rest, use the remaining hours of the day in exploring in and around areas of the hotel. Talk to local people, visit the nearby street markets, etc., and thereafter, return to the hotel for an overnight stay. Post breakfast, drive to Thimphu. On your arrival, get transferred to your hotel. Check in, freshen up and take a little rest. Later, take gradual walks to the nearby streets. Visit local markets, enjoy street food, and communicate with local people, etc. thereafter, return to your hotel for overnight stay. Early in the morning, after breakfast, get ready for excursion to various popular attractions of Thimphu. Visit National Library which is popular for its huge collection of ancient Buddhist manuscripts. Also visit the Traditional Medicine Institute and the School of Thangka paintings. Later proceed to visit the head quarters of ministries, Trashi Chhodzong. Enjoy scrumptious lunch in town. Post lunch, drive to Dochula (23 km from Thimphu) to view panoramic view of the snow-capped peaks of Mt. Gangkar Puensum, Masakhang, Jeje Khang, Gangcheyta and Table Mountain. Also take pleasure in visiting The 108 Chortens (Stupas). Return to your hotel after full day excursion. Post Dinner, Halt for an overnight stay. In the morning, after breakfast, drive to Paro. On your arrival, get transferred to your hotel. Check in, freshen up and take a little rest. Use the rest of the day exploring the attractions of Paro. Visit the ruins of Drukgyal Dzong, erstwhile a fortress and Buddhist monastery. En route view numerous houses and structures that are built according to the traditional style. You may also visit Taktsang Monastery. Post lunch; proceed to visit Ta Dzong (National Museum) to view an admirable collection of artifacts, weapons and Thangka paintings. Thereafter, take a short gradual walk to Rinpung Dzong (Administrative Head Quarter). Later, return to the hotel, have your dinner and halt for an overnight stay. After breakfast, get transferred to Paro Airport to board the flight to Kathmandu. On arrival, get assisted and transferred to the hotel. Check in, freshen up and take a little rest. Spend the remaining day at leisure. Take gradual walk to the nearby streets, explore local market, talk to locals, taste street food, etc. Return to your hotel and halt for an overnight stay. Get assisted and transferred to the Kathmandu Airport to board the flight to Lhasa. 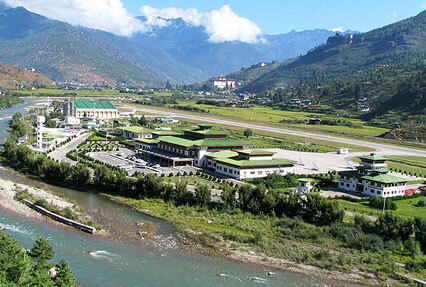 On your arrival at Lhasa Gonggar Airport, you will be transferred to your hotel. Check in, freshen up and take a little rest. Evening is free to be spent at leisure. Explore in and around areas of the hotel. Take gradual walks to the market. Return to your hotel for an overnight stay. This day is dedicated for sightseeing of major attractions of Lhasa. Post breakfast, visit Sera Monastery. Later, proceed to four-storied Jokhang Temple, which has roofs covered with gilded bronze tiles. Built in the 7th century by Songsten Gampo, this temple is home of most respected statue in Tibet. Thereafter, visit Barkhor Bazaar, one of the very popular tourist attractions in Tibet. In the evening, you are free to visit local markets, explore nearby areas, taste local food, etc. Return to your hotel for an overnight stay. Get ready to explore some other attractions of Lhasa. Post breakfast, visit Potala Palace. This is named after Mt. Potalaka. This palace is located on the side of Marpo Ri (Red Mountain) and in the heart of Lhasa Valley. Later, proceed to Drepung Monastery. Explore the areas in and around. You are free to enjoy the evening or take rest at your hotel. Your overnight stay will be at your hotel. Early morning, after breakfast, you will drive to Lhasa Gonggar Airport to board flight to Kathmandu and from Kathmandu again board a flight to Delhi. After your arrival at Delhi, enjoy dinner and later proceed to Delhi Airport/Railway station for onward journey.